So another Inauguration Day hype has been deflated. Metro announced that they’ll be opening up thousands of parking spaces for cars at all Metrorail stations (save one) for Inauguration Day festivities. The prophesied “parkapocalypse” has been debunked. When setting up initial plans for January 20th, WMATA set aside roughly sixty thousand parking spaces for charter buses. Estimates had over 1,100 of the big behemoths coming into the area, so naturally, where does one park so many buses? Metrorail stations, that’s where. However, WMATA has only received THIRTY FIVE requests – that’s less than half of one percent of the inflated estimate – and is no longer taking requests. As a result, Metro opened the parking floodgates. Which, considering the other news that arrived yesterday regarding making DC a castle with a moat called the Potomac, is sorely needed. Now all those people who can’t drive to the District due to closed bridge access can park at Virginia Metro stations and pay the rush hour fee to be whisked across the river on a jam-packed train to stand in the freezing cold for hours to hear our new president get sworn in. Sounds like fun, doesn’t it? 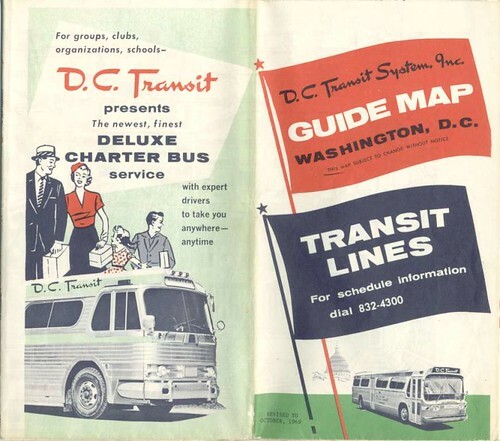 Metro will still be honoring the agreements made with the charter companies that did reserve space. I suspect there will be several other buses arriving like late dinner companions who have no concept of the word “reservations” and clog some of the parking areas. The lack of reservations may be due to the overabundance of trip permits being issued in the District. DC’s transportation department has set aside several parking areas within two miles of the Mall to accommodate about 10,000 buses. While this may be good for visitors who won’t need to jam into Metro’s trains, the traffic nightmare of 10,000 charter buses trying to stream out of town should give many residents pause to reconsider even attempting to drive into the District that day. The sole Metro parking garage that will be closed is the Minnesota Avenue lot. That lot will be open only for Metro employees working that day. Be aware that all garages will open at 3:30 a.m. and Metro will be charging $4, CASH ONLY, per car. Which seems odd, considering the SmarTrip capability already in place. And with people buying up and expected to use the cards, wouldn’t that make more sense? Oh, right. This is WMATA. Where bloggers aren’t media and Google is out to cheat them of money. Bottom line, then? Avoid the District on January 20th. You won’t be sorry.